Stop and smell the flowers; it's one of our favourite pastimes. And, if you've been using our More than Garden Mix you might find you grow so many sweet-smelling flowers you'll be stuck outside sniffing for days. 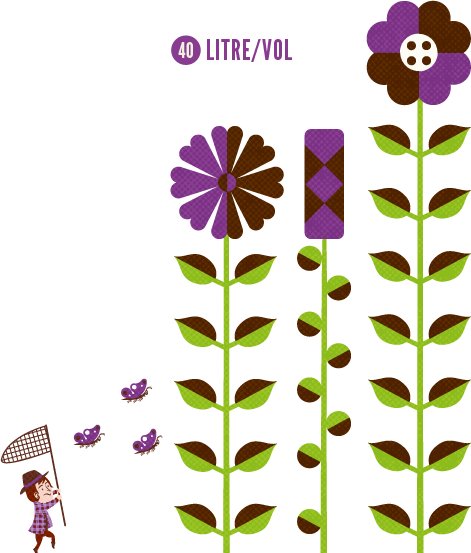 It's not just for flowers; you use it to grow all sorts of plants. It's so easy: you can plant straight into it, or use it on top of your existing soil to give your plants a boost. And it's 100% weed-free, so you won't be stopping to smell any of those. 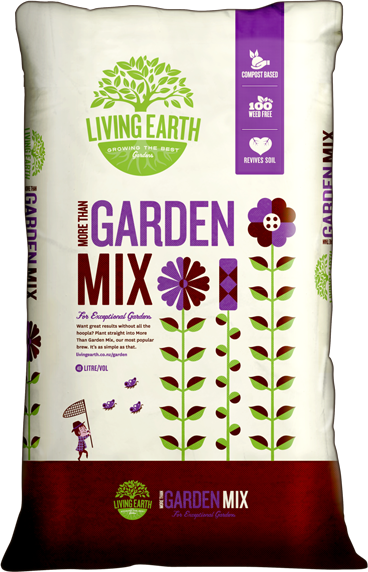 We kick things off with our old nutrient-rich friend, Living Earth Organic Compost. Can I interest you in some Bark Fines for substance? Or perhaps you'd like some Pumice for drainage? Well, you don't have choose; we've chucked them both in the mix. And to round it all off, we've added a special Fertiliser for extra plant-growing power. Garden Beds: Use More than Garden Mix as you would topsoil on your gardens to a depth of at least 200mm. For heavy soils and clay it will act as a claybreaker. At planting, dig a hole then fill with More than Garden Mix around plant roots in planting holes. Raised Garden Beds: Fill with More than Garden Mix. Plant and water regularly. Top up regularly with More than Garden Mix to add organic matter that your plants have used up. For best results apply Living Earth More than Mulch on top to conserve moisture. Then, go make yourself a cup of tea and put your feet up; you've earned it.